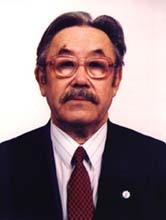 This pioneering study by O.Ismagulov presents a major achievement in anatomical study of the steppe population historical development, even if the concentration on Mongoloid/Caucasoid (in more primitive terminology aka Europeoid) resembles a religious attention that sees only one dimension, righteous us versus pagans/heretics/faithless/idolaters them. This one-dimensional vision is definitely annoying and greatly reduces the value of the studies. But nevertheless, the studies provide facts that pull a carpet from under Indo-Iranian racialist theories that were treated as postulates in the greater part of the last century, and positively conjunct with relatively recent consistent detection of Uralic-Siberian DNA element in the examined populations. So far, the study managed to remain in obscurity for its total life, ignored by official xenophobic state-proscribed "science", and, judging by paucity of references, nearly totally unknown in English translation, in spite of its very sensible and pioneering discoveries. Titled "Population of Kazakhstan...", the sampling base is nevertheless miniscule, extremely spotty, and definitely does not represent the whole steppe belt from the Caspian Sea to Baikal across three millennia. The statistically small number of specimens made this first compendious study a maverick, but all later findings and studies invariably confirmed the observations summarized in the O.Ismagulov's 1970 publication. Noteworthy is the absence of cooperation between scientists: the studies are fragmented because they stop at the contemporary political border, even when the border is between "brotherly" Türkic "republics" of the Soviet time. And because Minusinsk depression, Barabin steppe, Altai, and other Türkic territories fell inside the borders drawn for the "Russian Federation", the missing fragments of the studies may as well be on another planet. The finding that "Mongoloid admixture in anthropological composition of the Saka tribes does not raise any doubts" raises instead curious doubts about the Saka's clamed Irano-linguality, and about the logical Mongoloidness of the Indo-Iranians and their descendents in the next generations. Map illustrations are translated, but the former Soviet-era placenames are retained for consistency with the text. Most of the placenames are different now, after being restored to their native original names. All cranial dimensions are in mm. Angles, supposedly, in degrees. Terminology is translated to the best of my capability, but where unsure or not understood, a question mark (?) follows the translation. Craniofacial anthropometry is not generally replicable, which makes its findings difficult to explain. A trivial example: from the skull determine whether the person was Caucasoid or Mongoloid. Place the skull face down on a tabletop. Rock it from side to side. If it fails to rock, but instead sits high on its cheekbones, with a face too flat to let the nose portion touch the table, then the chances are that it is of Mongoloid ancestry. If it rocks from side to side because the midline of the face protrudes past the cheekbones like the bow of a boat, then it is probably Caucasoid ancestry. In practice, many other tests are necessary in order to hazard a determination but in the end it works because there are consistent differences among endogamous groups. A skull that matches the group of features associated with European and Asian ancestry is called, respectively. "Caucasoid" and "Mongoloid." Note, that none of the peoples studied by O.Ismagulov are believed to be endogamous; just the opposite, a tradition of marrying "imported" women is widely documented in the Chinese annals for the "Northern" tribes for centuries on, and O.Ismagulov's findings confirm that. Which means that many of the exceedingly subtle and subjective measurements, some of which regularly give four widely different results if four equally well-trained experts measure the same skull, can't be applied at all to the studied Middle Asian non-endogamous populations. Other more objective measurements unfortunately do not vary even among the endogamous groups. So. that much for a flimsy foundation for a long-range conclusions.